[TITLE CARDS]: Online poker revenues grew from $82.7 million in 2001 to 2.4 billion in 2005. 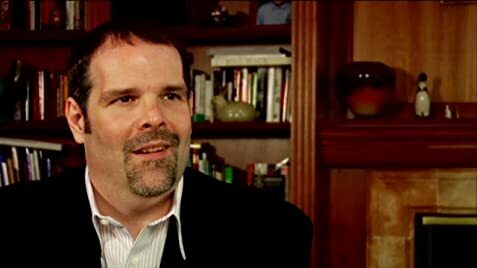 That's what I felt throughout this poignant documentary; telling the tale of Poker's origin, to the poker boom known as the "Moneymaker Effect" all the way to April 15th, 2011, not tax day, but better known in the poker world as "Black Friday." I remember starting high school around the time Chris Moneymaker was starting the World Series Of Poker in 2003. Everyday a group of friends and I would play poker in the lunchroom on long white tables. We'd always discuss what was going on at the WSOP, it was like a sporting event. When Moneymaker won it all, poker blew up. All In: The Poker Movie is a trip behind the looking glass of the usually close knit and private world of poker. Director Douglas Triola presents the documentary in a very different fashion. Not only are there very candid interviews with the greatest poker minds in the world, which gives you get the feeling of being in school, but there is a smattering of factoids thrown at you randomly at times. Throughout the film key points are brought up in bulletin fashion ala a high school class room, they are sometimes followed by a kicker that makes the audience chuckle or let out a collective "aahhh" as if to reaffirm their pleasure for learning something new. Then there are times when Triola leaves the audience hanging, he'll present a topic of conversation, or major point in either the development of poker or it's growth, and abandon it, only to have it resurface later on in the film. You get the feeling like the players who are being interviewed; from the likes of The Poker Brat Phil Hellmuth Jr. and the unabomber Phil Laak to Annie Duke, The Professor Howard Lederer, and even Matt Damon, are speaking and informing just you. It's all very cordial, and loose, almost like being at a diner or a bar. That's not to say that the tone doesn't change drastically once "Black Friday" is brought up, which in fact starts the film and caps it off. In fact, prior to the documentary starting Triola said that there were tons of edits made in order to make the film as current as possible, saying there was information put in as late as February of 2012. There are three central themes the film focuses on. The first being the game of poker itself, the rich history it has, the false stereotypes that go along with the idea of being a poker player, and what it's like to be immersed in the world of poker itself. Secondly the documentary tells the story of Chris Moneymaker, a "regular Joe" from Tennessee who was making $45,000 as an accountant in 2003 when he entered and won the World Series of Poker. Moneymaker's story is riveting. He opens up about his college days, his father, and the road leading up to his now infamous entry into the World Series of Poker. It's something every poker player needs to see, this isn't something you'll find on his wikipedia page, trust me I checked. The third, and my favorite sticking point of the documentary was the inside look at "Black Friday." For those unfamiliar, up until April 15th, 2011 – you could play online poker in the United States from the comfort of your couch. People were making their living off of online poker via sites like PartyPoker, PokerStars and FullTiltPoker. Legalities came into play and when "Black Friday" rolled around, the biggest online poker sites were shut down and seized by the Department of Justice. Triola goes more in depth on details in the documentary, but the most captivating part of this potion were the reactions from the poker pros. Levels of anger, disgust, befuddlement, and that's just the tip of the iceberg. Many likened "Black Friday" to the JFK Assassination in terms of every poker player knowing exactly where they were when they heard the news of these sites being shut down. With the splattering of scenes from the most famous of poker movies like The Cincinnati Kid, Rounders and more, you're always reminded of just how mainstream poker has always been. The idea that it's a shady game with crooks and thieves is a notion of the past. 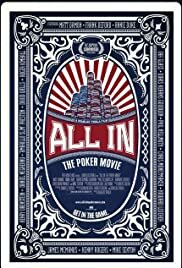 All In: The Poker Movie is a concoction of poker history, the trials and tribulations, from the emphatic rise to the chilling fall. But one constant is ever-present, and that's the love of the game. Referred to by some as "America's real pastime," the pros in the film and Triola make sure to hammer home and romanticize the game; letting everyone know that the government can take away the online action for a little while, but the game of poker itself is here to stay.